Pre-roll and post-roll ads have dominated many websites that publish videos because of their ability to generate advertising revenue. Facebook, however, has consistently resisted the urge to fall in step, but has recently taken the plunge with a slightly altered strategy: mid-roll ads. Users won't see mid-roll ads until they've watched a portion of the video. We're all familiar with mid-roll ads in another medium. Before TiVo, Netflix, and DVRs, television watchers had to sit through ad spots several times during the course of a program. Facebook mid-roll ads will work much the same way. Ads will appear during publishers' videos, but they must occur at least two minutes apart and a minimum of 20 seconds after the video starts. Other than that, there don't seem to be many rules for publishers and marketers who want to team up through Facebook videos. Publishers can insert videos into both pre-recorded and livestream videos, but only after they've met Facebook's criteria. Facebook typically implements strict guidelines when considering advertisers for their beta tests before easing up the criteria. Publishers must have a certain number of live videos on Facebook and a certain number of views before they can participate. Additionally, during this test phase, only U.S.-based publishers have this privilege, but if it goes well, Facebook will likely roll it out to everyone. If you've ever closed a browser window just because you didn't want to watch the 15-second advertisement before a video, you know the argument against pre-roll advertising. Users have lots of demands on their time, and they're often not willing to learn about the latest minivan on the market before they watch desired content. Mid-roll ads have an edge over their pre-roll counterparts. Viewers have already committed to the video, and if the content is strong enough, they'll sit through the ad to resume watching what they enjoy. At least, that's what Facebook hopes as it launches this program. How Can Marketers Take Advantage of Mid-Roll Ads? Ready to try ads in the middle of Facebook videos? Savvy marketers know that video advertising proves more effective than static ads. Dynamic advertising engages more of the viewer’s senses and maintains his or her attention. Additionally, video allows marketers to pack in more content, which means that viewers get a more well-rounded sense of the message. As a result, video advertising typically generates greater results at lower costs. However, keep in mind that context counts. If you pay for mid-roll ads on videos that have nothing to do with your brand, or if you don't share an audience with the publisher, your money goes right down the proverbial drain. Just like any other form of paid advertising, you must consider ROI. At Elite SEM, we know that marketers sometimes struggle to find the right mediums for their ads. We've helped many companies improve their ROI and get better results from every marketing dollar. If you're interested in Facebook's mid-roll ads or other advertising streams for your business, we're here to help. 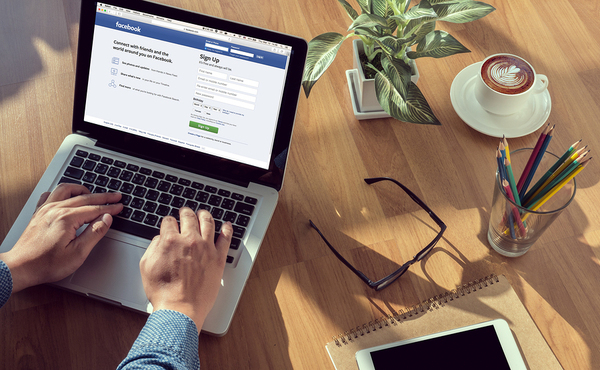 To learn more, read: Generating Leads with Facebook Lead Ads.